Does it play like MK II, or have they changed the control system? It is very close to MK2. The punch, kick, and throw buttons are all still punch kick and throw buttons, but now they have made it so that each button controls a limb. One punch button will control the arm closest to your opponent and the other will control the one further away. But I dont actually notice any difference during the game. Uppercuts and sweeps and all are still done the same old way. The throws now are also more elaborate and involve a bit of grapple beatings before you ultimately throw your opponent. They have also added a super meter. You fill it up and can use it either for 4 enhanced special moves, 2 combo breakers (this stops an opponent mid-combo and refunds you any damage they had done during that combo) or 1 x-ray attack (this is like the ultra combo from Street Fighter 4). The first DLC character got released last night. She is a new character named Skarlet, another girl ninja along the lines of Mileena, Kitana, and Jade. So far, she is the only character in this game who has not appeared in a previous MK game. She is a very fast playing character with good range attacks. The next DLC character will be Kenshi, a Zatoichi knockoff from a MK game I never played. After that it will be Purple Rain, a ninja who was born this way. Then there will be a fourth DLC fighter who's identity has yet to be revealed. I hope it's Ed Boon himself. Each DLC character comes with two alternate costumes for other characters. Skarlet came with retro skins for Cyrax and Sector so that they have that Power Rangers look like back in MK3. After that it will be Purple Rain, a ninja who never meant to cause you any sorrow, never meant to cause you no pain, only wants to one time hear you laughing, only wants to see you laughing/bathing/underneath him. If his fatality turns people into a symbol, i might buy it. Last edited by King Of Nowhere on Wed Jun 22, 2011 5:49 pm, edited 1 time in total. This is what it sounds like... when doves die! Spandau Belly wrote: And even though this mashup turned out well, I think pitting MK against DC was the wrong crossover. I think they should've gone with MK versus Legends of Horror so that we could see the MK crew fight Freddy, Jason, Michael Meyers, Pinhead, Leatherface etc. The gorey gothic multilation fest between these two would fit even more naturally than with these comic book characters and players would live to see the fatalities. Maybe next time. Dude, that is a billion dollar idea. I would love to see a game like that. Ed Boon teasing Mortal Kombat vs. Street Fighter possibility? Take this with a grain of salt, as NetherRealm Studios' Ed Boon is known to be a bit of a joker, but he recently posted a message on Twitter stating that he was looking forward to an initial meeting with Capcom's Seth Killian to discuss a Mortal Kombat crossover with Street Fighter. Yes, great catching up with you too. Looking forward to our first Mortal Kombat vs. Street Fighter meeting. First order of business: MKvsSF or SFvsMK. Yoshinori Ono has previously confirmed interest in doing such a title as well, but added that creating this product would be hard. The MK team's new game is a fighting game with only superhero characters called INJUSTICE: GODS AMONG US. I can't say anything about it really jumps out at me. I'm not really into superheroes, and most of them are the same characters featured in MK vs DC. The game looks a little too heavy on cut-scenes that will be cool to watch once or twice, but just interupt the gameplay every time after that. As for MK vs STREET FIGHTER, I think it is a bad idea. I don't see how they're going to combine the dark gorey look of MK with the colourful anime look SF, and the gameplay styles are also very different, SF is a lot faster gameplay than MK. There is a new MK game in development for the next gen. They are keeping it hush-hush because they are still milking INJUSTICE and don't want to take any attention away from it. I have a hard time seeing how they could top MK9. That was just the perfect MK game. Also, that game's back-to-basics approach was moreorless an admission that almost everything post-MK3 has been a mis-step. But I guess they'll get back to cluttering up the gameplay so that they can do another back-to-basics installment in 15 years. Word right now is that they are going with a new roster of fighters and throwing away most, if not all, of the classics. No word on new feautres in the gameplay yet. Ed Boon teases a lot of things. Lately he's been making a lot of statements about how after the success of INJUSTICE, his dream project would now be a MARVEL VS DC fighting game. But even though it would make a billion dollars, it won't happen. Ten thousand lawyers will die just deciding on whether it would be called MARVEL VS DC or DC VS MARVEL. They need a superhero who can overcome pettiness. He also talked about wanting to use the idea I talked about earlier in this theard of making a LEGENDS OF HORROR fighting game with Pinhead, Candyman, Freddy, Jason etc. The 24 star confirmed that he's been working on an upcoming Mortal Kombat project. A Jack Bauer character in a Mortal Kombat game? That would be badass. It seems that both Mortal Kombat X and Injustice 2 are in the works. I doubt Warner Brothers wants to compete with itself, so I imagine the releases of these two fighting games will be staggered so that there's at least 6 or 7 months between their releases. I did pick up Injustice and liked it. It was a fun game. Everybody seems to agree that a tag mode will be an obvious addition to a sequel, even though the tag mode in Mortal Kombat 9 never really caught on in a big way. Most fighting game sequels tend to see expanding the roster as an obvious way of topping themselves. So there will probably be at least 32 characters (before DLC) this time. Since it was a comic book game, there was of course lots of griping about the roster in the first game. Lots of guys who are obsessed with some obscure characters were disappointed that their favourite character didn't make the cut. I would read some of those complaints and then I would google that character, and I must admit, a lot of these characters were very cool-looking. One criticism I would agree with is that the first game was a little too heavy on Batman characters and content. There were 7 Batman characters out of the game's 30 playable characters. That was a bit much, especially seeing as one of them was Batgirl. I've been watching the coverage for this game and I like what I see. The roster screen looks like it has room for about 25 characters, and each character has three different versions which each swap a special move and/or combo. This game does not appear to have the level transitions of Injustice, the combat seems to be limited to the boundaries of edges of any given arena. But the environments are interactive with some neat ways that the characters can bounce and propel themselves around as well as stuff/people that they can chuck at their opponents. Ed Boon has been saying that the frontrunner for the special guest character is Jason Voorhees. Mortal Kombat's time travel reboot caused history to repeat itself, but with a lot more dead heroes. With the new game coming, what's next? Spandau Belly wrote: I've been watching the coverage for this game and I like what I see. i put my money on tupac. machetes can't harm a hologram. Only if Danny Trejo is involved. Jason X vs Tupac vs Machete vs Star Trek vs Mortal Kombat X!!! Don't get my hopes up, man! 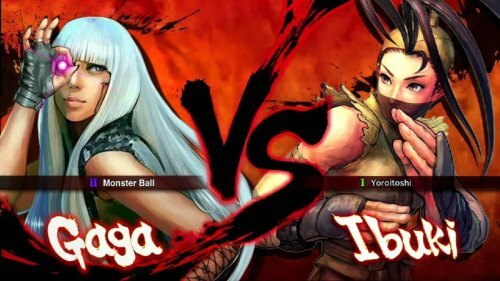 After that Lady Gaga in Street Fighter IV thing turned out to be a hoax, I cried. Mortal Kombat X will be released worldwide on April 14, 2015. Rumour: Mortal Kombat X Summer DLC Will Let You Fight As The Predator And… Carl Weathers?